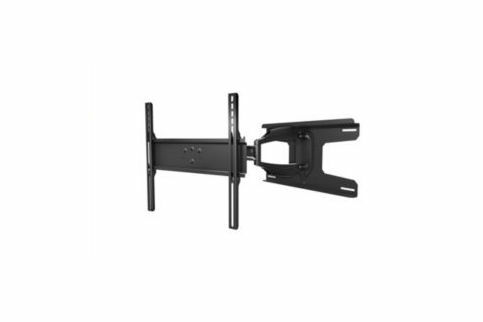 The Corrosion Resistant Articulating Mount for 26"-46" Indoor or Outdoor Displays from Peerless-AV is ready to let entertainment prosper in any indoor or outdoor environment. The ESA746PU is specially coated with a protective anti-corrosive e-coating that repels damaging temperature-related and outdoor corrosive elements. Delivering all weather indoor and outdoor display placement value for uses on a terrace, pool deck or in grill areas. This all-environment mount is also ideal for installations in humid indoor areas like locker rooms, bathrooms and indoor pools. Indoors or out the ESA746PU provides durable all-environment mounting solution that is ready for any setting. We have no downloads available for the Peerless Outdoor Universal Articulating Wall Mount at this time.